Grab your daily list of positive morning affirmations for men and women and start kicking asses today. Let this be a part of you by reciting your favorite 10 or 20 positive affirmations daily. You can meditate with your affirmations and build a solid self-confidence and self-esteem. I don’t know what you do when you are not motivated. But what I do is rebuild and restart a new life packed with a double of what I lost. After all, no one can motivate or make me feel positive either than myself. What you may need to keep you motivated and inspire positivity in you is not far from your reach. Maybe all you need is to build self-confidence with the best positive affirmations there is. You may ask what are affirmations? Let’s put this straight, simple and short. Affirmations are positive statements that you say to yourself daily to invoke the greatness in you. They work and if you want them to work for you, just believe it does when you say them. Don’t just read or recite them. I always love to affirm myself and build my confidence each day. But then, I didn’t want to reap the benefits alone so I decided to share this with you. Positive morning affirmations are a total blessing just like meditating. Well. have I shared the benefits of meditation with you? If you haven’t looked at that already, check the breathtaking benefits of meditation and a more detailed reason why you just can’t say no. I won’t take much of your time. 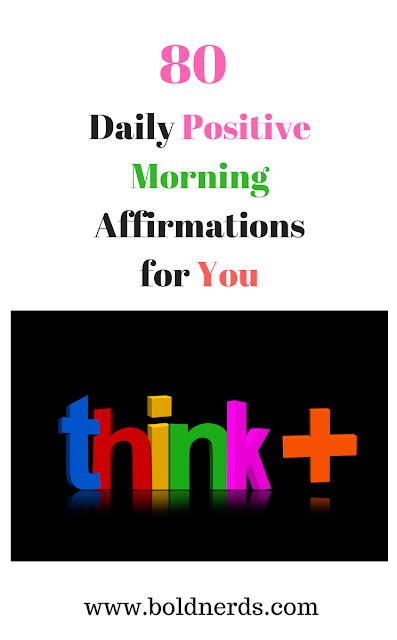 Here is a list of the best positive morning affirmations for both men and women that will turn your life around if you practice them daily. Many are my personal affirmations but I have also tried to gather some of the best I could from all over. If you find them useful, do share them to inspire someone and to boost their self-confidence. I will create opportunities and make the most of them. My mind has unlimited power. I love myself more each and every day. I can succeed at anything. I stand up for what I believe in. My life is an encouragement for others. I was born to achieve greater things. I believe in my capabilities. I organize my priorities with clarity. I always have everything I need to be happy. Only the best will come out from me. I act with courage and confidence. I can cope with any situation. I can overcome and I will overcome. My solutions are there and I will find them. I have value and I matter. I’ll always walk my talks. I am always on the path of success. I focus on what is truly essential. I am my best source of motivation. The best will always come my way. I am perfect exactly as I am. I am in control of my reactions. I am more energetic today than I was yesterday and tomorrow even looks better. I will make the most of new opportunities. I will love and I will be loved. I am patient with myself. I appreciate my physical body. I take it a step at a time. I find peace and joy in all aspects of my life. I learn from my past. I am able to find solutions for new problems. I will always appreciate people and their efforts. I create my reality on a continuous basis. I am courageous and I stand up for myself. I am fun energetic and people love me for it. My future is an ideal projection of what I envision now. Today, and every day, I choose to be happy. I feel closer to my goals anytime challenges hit me. My life overflows with happiness and love. Today is rich with opportunity and I open my heart to receive them. I take the time to show my friends that I care about them. I believe in myself and what I stand for. I am superior to negative thoughts and low actions. I will live my dreams. My business is growing, expanding, and thriving. I am mindful of my actions. All I will see from today are opportunities. No more problems. I am more talented than I thought I was. I am not perfect but most definitely unique. I am not afraid to fail because I know how successful that can make me. I will treat everyone with kindness and respect all. I forgive those who have harmed me in my past and peacefully detach from them. Grab your daily list of positive morning affirmations and start kicking asses today. Let this be a part of you by reciting your favorite 10 or 20 positive affirmations daily. You can meditate with your affirmations and build a solid self-confidence and self-esteem. Hey! Like this? Please subscribe for our weekly newsletter to receive updates on the latest personal development and self-improvement tips. Catch you next time and don’t forget to share the love.